Throughout history, salt was king. Great cities, such as Liverpool and Munich, were founded on their salt industry. Wars have been fought over this precious commodity. America was drastically affected by salt during the Revolutionary War, when the British intercepted the Revolutionaries’ salt sources. Even in more recent times, Mahatma Gandhi leveraged the preciousness of this mineral to fight injustice and destroy Britain’s monopoly over colonial India. Empires were built and made to crumble, trade routes were strengthened and tossed to the wayside, cultures forever altered through commerce and conflict, because of the influence of this single mineral. Himalayan pink salt is halite, the natural form of table salt, mined by hand from the Khewra Salt Mine in Pakistan. This mine is located in the foothills of the Salt Range – a range of picturesque hills spanning miles across the terrain of Pakistan. The Salt Range has been a precious commodity and an object of conflict for centuries in the region, due to the historical importance of the renowned pink salt within the hills. Locals have always known about the importance of this special salt, and have shed blood for the privilege of having it as a resource, as documented in battles over ownership of the ever-important Salt Range. Instead of the standard dull white, Himalayan salt naturally occurs in a pink or reddish color. This unique hue is derived from elemental inclusions in the stone, added through millions of years of formation. Iron, calcium, magnesium, and potassium can be found in these inclusions, all of which are essential minerals that the human body needs. More than eighty other trace elements can be detected in pink Himalayan salt through scientific analysis. If you have some of this salt in front of you, the difference is easy to see: Pink salt has a more appealing, thicker grain than standard salt. A multitude of colors can be noticed, differing from one grain to the other. One grain is a deep, dark red, while another is a pastel pink, and all colors in between are represented. When choosing between Himalayan salt and regular, iodized table salt, the choice is clear every time: The higher grade, nutritious, healthy, historical salt will win. Ordinary salt is nowhere near as useful, delicious, or wholesome. It is dredged from the ocean or torn from the earth by machines, and dried in industrial heaters. It is then treated with strong chemicals, artificially whitened to an unnatural tone, mixed with other chemicals to bring it to government standard, and stuffed through a grinder, coming out the other end in unappealing tiny cubes. This unappealing product is boxed up and sent to grocery stores throughout the US, where it’s bought up by people who don’t realize that there is a much better product available! What else can you expect through such an impersonal process but an inferior product in every single way? There is a reason that every health-conscious, fit person you see chooses Himalayan salt to include in their diet over the terribly mundane, ordinary table salt. Its superiority cannot be stressed enough! It is used in place of regular iodized salt in cooking and brining, where it is said to lend a fuller and more complete taste in comparison to table salt. Blocks of pink Himalayan salt are used as serving dishes, to enhance the flavor of fish and meat. These blocks can also be slowly heated to temperatures above 400 degrees, in order to cook foods on the block itself. This manner of presentation has become a new hit in upscale dining establishments, where patrons can watch their food being cooked before them in a traditional manner, re-purposed for modern cooking techniques. The salt can be dissolved into a hot bath for a refreshing and calming soak. The minerals inside the salt are released into the surrounding water, and convey wonderful benefits to your skin – making it clear, supple, and soft with no ill effects. It can be used to exfoliate the skin through a pore-cleansing salt scrub. The coarser grain of the hand-ground salt is far more effective at removing dead skin from the face and body. A scrub with pink salt will leave you glowing as your healthy skin is put on display for all to see. With its varied mineral content, pink Himalayan salt can be used to provide trace minerals that are lacking in the standard Western diet. Deficiencies of these minerals can have disastrous effects on the body, manifesting in symptoms like muscle cramps, delirium, heart palpitations, numbness, and depression. Pink salt helps to adjust levels of these valuable trace minerals to adequate proportions – and help you feel balanced and well. It has long been used as a gourmet and premium ingredient in restaurants of all culinary traditions around the world. Chefs realize the complex flavor profile of this salt variety and use it accordingly. It is used on dishes from salad to roast to bring the quality from mediocre to divine. Our Himalayan salt is mined by hand, by locals surrounding the Khewra Salt Mine, whose experience with the mine has spanned generations of sons and daughters. It is then hand-washed, and ground into the perfect texture in order to be most effectively used in culinary dishes. It is Food Grade salt – the highest quality a salt can attain. It is also certified Kosher, so you know that you’re getting the best quality for your money. 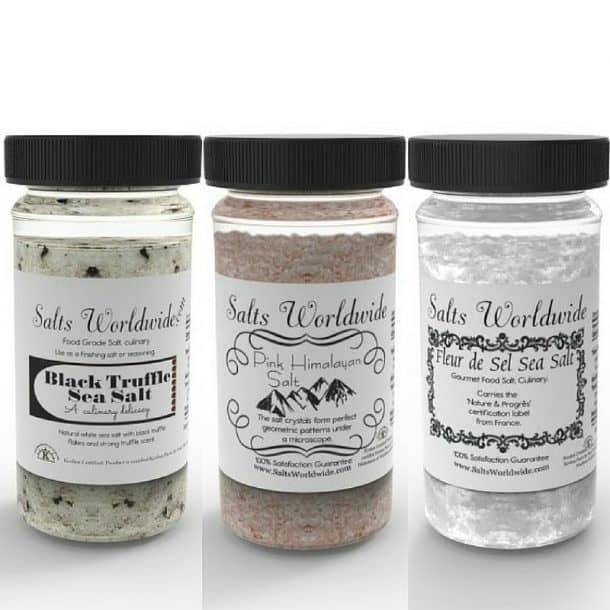 When you buy with Salts Worldwide, you know that your money is being used in the most cost-effective way. 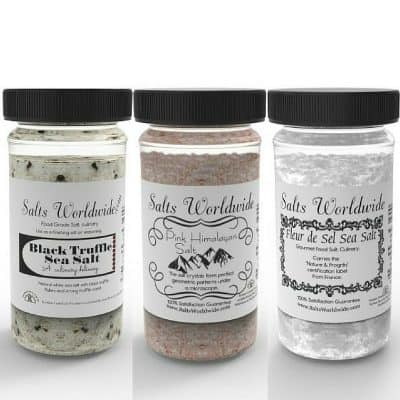 We have the absolute lowest wholesale prices for salt in the United States of America. 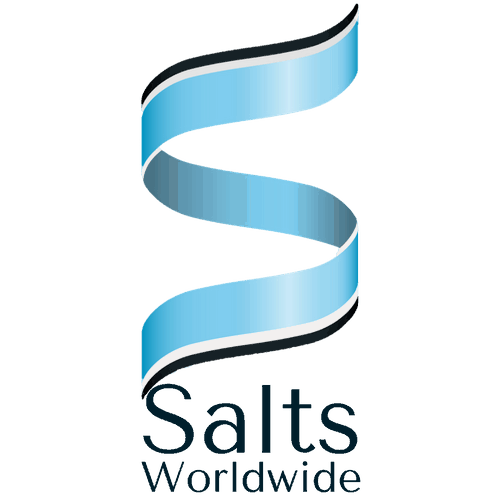 We are able to provide any quantity of salt that you’d need – from a small grinder full to impress your guests at dinner parties, to a larger bag of salt to outfit your high-scale bistro for months to come. It is a wonderful opportunity for you to take your meals to the next level – as well as your reputation as a discerning host and friend with great taste for quality ingredients. Pink Himalayan salt or himalayan salt is a natural food that is kosher and rich in minerals. Aside from its great taste in both savory and sweet dishes, pink salt also provides several health benefits that make it much better for the human body than iodized or table salt. The salt provides 80 elements and minerals that are essential for the health of the body, including borate, magnesium, calcium, sulphate and potassium. Perhaps one of the most important distinctions about it is that it is much lower in sodium than regular table salt. This is good news for people with heart disease or diabetes who are need to monitor their salt intake. Mixing a little pink Himalayan salt with a glass of water can help aid immune system in removing impurities from the body. By having a strong immune system it helps the body to fight off colds and the flu and purifies the blood to rid the body of infection. Individuals who are looking to aid their digestion can also benefit from pink salt. The salt promotes health of the intestines, which can help relieve conditions like constipation and diarrhea. Drinking a little salt water each day may also help to ease menstrual cramps in women, see Wikipedia. Those who exercise often should also consume pink Himalayan pink salt to replenish electrolytes. Sea Salt water is healthier than popular sports drinks which are used to replace the body’s electrolytes after working out, as there are no dyes or sugar in salt water. Pink salt also hydrates the body; regular table salt has the opposite effect. Adding pink salt to foods brings out the natural flavor of each entree and helps food to retain its vitamins and nutrients. 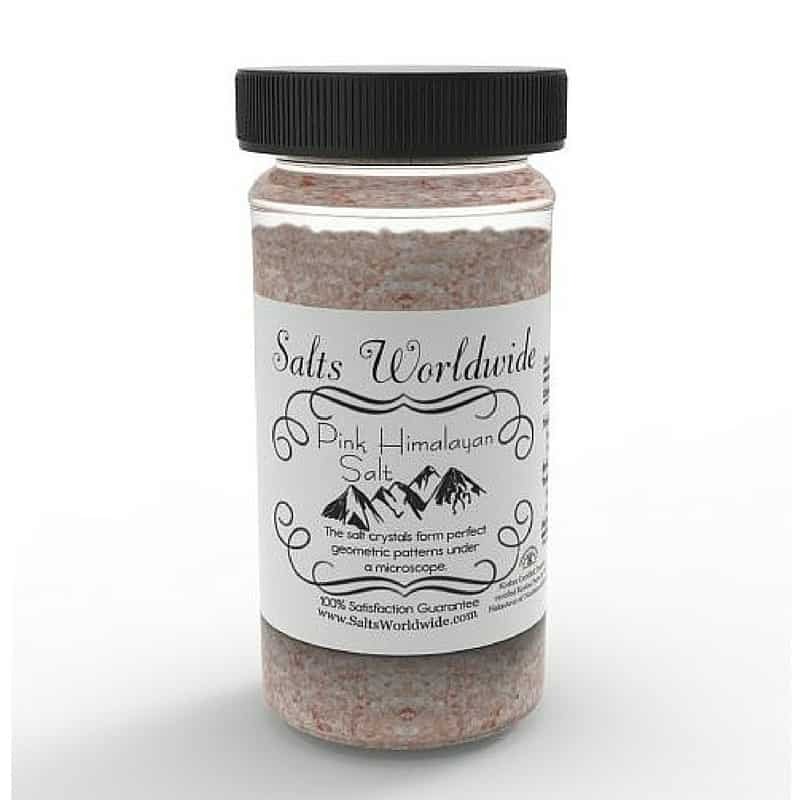 Himalayan pink salt can be found at most health food stores; the salt can also be ordered online. Himalayan Salt is also utilized as a powerful bath salt and is used in spas worldwide in exfoliating, scrubs, and masks!